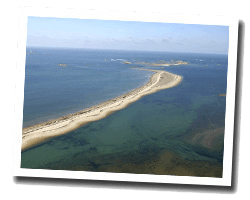 In Larmor-Pleubian, the coastline offers a geological curiosity, called “Sillon de Talbert”, a tongue of sand and pebbles advancing over 3 km into the sea. Many hiking trails by the sea allow you to admire the coastline and beautiful sunsets. At the seaside you can find 3 sandy beaches. In Larmor-Pleubian enjoy a seaview holiday rental. House 6 rooms 110m2. Close to the beach. terrace. Pets allowed. The property is ideal for a peaceful and romantic holiday. Located 200 meters from the shore, at the estuary of Jaudy (river where the charming town of Tréguier is located), the property has a panoramic view of the river and the sea, 180 degrees. Price from 675 € to 1395 €. 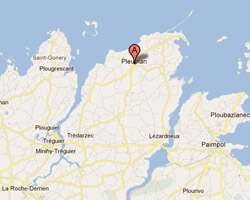 The property is located in French Brittany, in the heart of the Côtes d'Armor between Perros-Guirec and Paimpol. a charming waterfront cottage recently renovated and expanded with view and direct access to the sea. 5 Bedroom(s), 4 double bed(s). short stays possibility. Final cleaning possibility. Price from 1500 € to 2200 €.